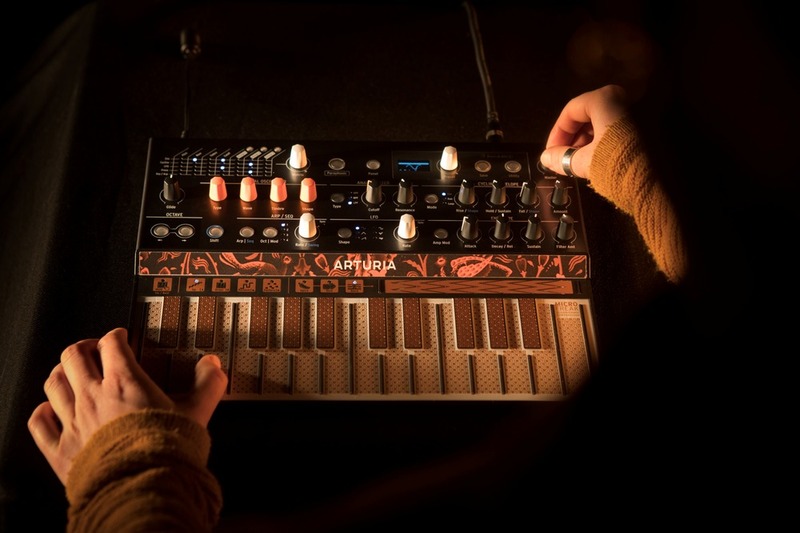 We are excited to bring you the Arturia MicroFreak; a highly modern synthesiser. 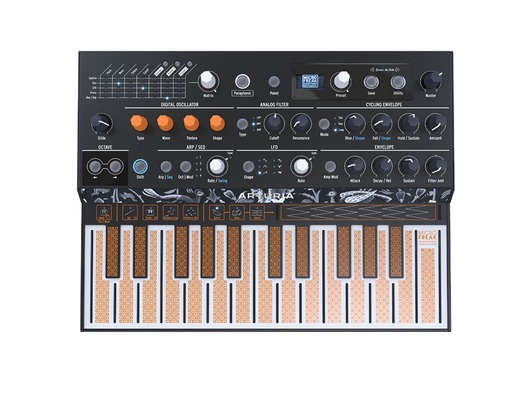 This amazing little machine has been built for the serious music-maker and comes with tonnes of brilliant features, like the 11 wavetable and digital oscillator modes made in collaboration with synth experts Mutable Instruments. It also has a in-built sequencer with Spice & Dice function that creates sounds for you to manipulate and have fun with. 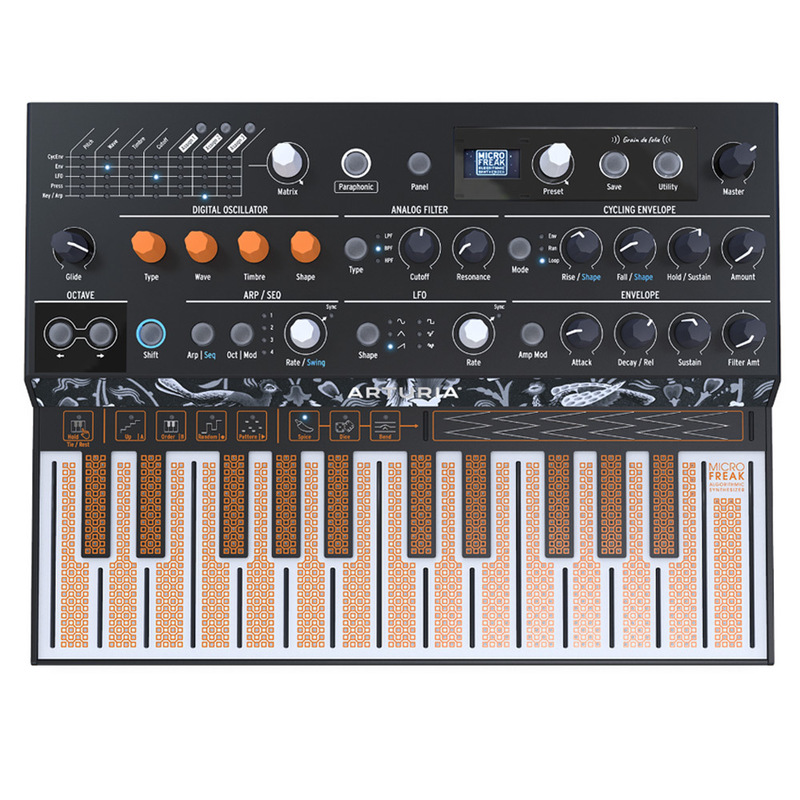 However you choose to use this small-but-mighty machine the Arturia MicroFreak is perfect for those who still like the look of a traditional keyboard but are ready for the future of digital music. The completely flat PCB surface has been designed in the style of a traditional keybed but gives a much more impressive performance. That's right, it is. It isn't really even a keyboard. Its a PCB. Super-flat, with no moving parts.